The adoption of new technologies is on the rise and this is especially true for IoT. The Internet of Things (IoT) is defined as a paradigm in which objects equipped with sensors, actuators, and processors communicate with each other to serve a meaningful purpose. According to McKinsey—an American worldwide management consulting firm, the economic value generated by IoT could reach $11.1 trillion a year by 2025. This indicates that companies can gain a lot by implementing IoT. However, for successful IoT implementation, understanding the IoT architecture is imperative and crucial part of this architecture are the IoT layers. This layer of IoT comprises of devices, sensors and controllers. Connected devices are what enable the IoT environment. These devices include mobile devices such as smart phones or tablets, micro controller units and single-board computers. The connected devices are the real endpoint for IoT. Layer 2 is the connectivity/ edge computing layer, which defines the various communication protocols and networks used for connectivity and edge computing. It is a distributed architecture where IoT data is processed at the edge of the network. Layer 3 is the global infrastructure layer, which is typically implemented in cloud infrastructure. 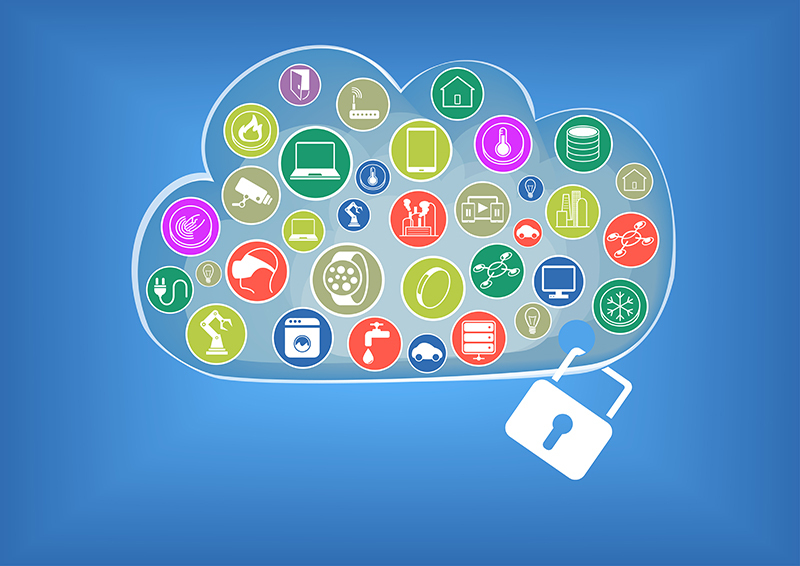 Most of the IoT solutions integrate with cloud services. A comprehensive set of integrated services, IoT cloud can provide businesses with useful insights and perspective on customers. Layer 4 is the data ingestion layer, which includes bigdata, cleansing, streaming and storage of data. Layer 5 is the data analysis layer and relates to data reporting, mining, machine learning etc. Layer 6 is the application layer, which comprises of the custom applications that is actually making use of the things data. Layer 7 is the people and process layer. This includes people, businesses, collaboration and decision making based on the information derived from IoT computing. As more and more companies adopt IoT, the task of building and deploying an IoT project is getting tougher. Challenges are a plenty, but with a sound understanding of the IoT platform and its infrastructure, you can increase your chances of making a successful transition. Here is the infrastructure of an IoT platform explained. There are five pillars making up an IoT infrastructure and they include platforms, access technologies, data storage & processing, data analytics, and security. An essential part of any internet-connected device, these five pillars are what enable growth for future IoT solutions. While all five pillars of the IoT infrastructure are important, we’re only interested in the IoT platform and its infrastructure. So, let’s get to it. Collectively, the above solutions are referred to as the value chain of IoT. One of the main objectives of IoT is connecting devices with each other. An IoT platform ensures this by providing the basic layer of services with interoperability between nodes, cloud services as well as basic IP networking, security, application layer and device management. This also ensures high level IoT application development. Put simply, an IoT platform provides all the key ingredients to build secure and efficient IoT applications. As the number of connected devices grows, the intricacy of handling data increases. Therefore you need to think about scalability when choosing an IoT platform. Even if you don’t have many connected devices when you first implement IoT, you need to ensure that the IoT platform you choose can tackle increased data load as you connect more devices. The right IoT platform will support millions of devices with different technological requirements, providing continuous insights from the collected data without compromising efficiency. In today’s data-driven and the increasingly connected world, data security is a major concern. Whether it is due to a natural disaster or a cyber-attack, your IoT platform should be able to handle any IT infrastructure outage. Ensure that the IoT platform comes with a disaster recovery plan and can vide failover clusters to take over the workload in case of any downtime. Your IoT platform should provide edge intelligence capabilities to extend the power of the cloud to your mobile and IoT devices. This will facilitate an intelligent edge that can bring computing power, data, applications, and intelligence to all the places where your data already exists. This will allow your edge devices to take decisions based on the local data that they generate, while enabling them to leverage the benefits of cloud to configure and manage those devices. Compared to the singular approach, hybrid cloud approach can ensure more benefits. The hybrid cloud combines the best of both worlds, by giving the ease of accessibility of private cloud and scaling capabilities of public cloud. 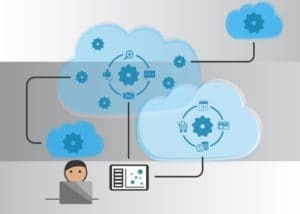 With an IoT platform that provides hybrid cloud, you can retain all the business-critical information on-premises, while storing the less critical information in the public cloud. This will reduce the latency and access time significantly. All IoT platforms must directly or indirectly offer protocol translation. Some of the protocols that your IoT platform must be able to support include CoAP, AMQP, HTTP and MQTT. Also ensure the scope to implement a custom protocol and the ability to handle it from the backend. In IoT, the most important thing is the connectivity among objects. From a single constrained device to a whole range of cloud systems, IoT extends to a whole host of devices and systems—all connected by a set of protocols that allow devices and servers to talk to each other. Following are protocols of IoT explained. RFID based protocols include RFID, DASH7 and NFC. Also, many common mobile standards are evolving to accommodate IoT applications and these include: GPRS, GSM and CDMA. The layer has a prominent role in an IoT architecture. It is the service discovery or service management layer which differentiates an IoT network with that of typical internet network. The IoT devices need to connect and communicate with web or cloud based services and applications for IoT implementation. This layer lies above the service discovery layer. It is highest layer in the architecture extending from the client ends. It is the interface between the end devices and the network. This layer is implemented through a dedicated application at the device end. The internet of things (IoT) has made the world more convenient, efficient and enjoyable, with the dramatic surge of internet-connected devices transforming how individuals, households and businesses interact on a day-to-day basis. From baby monitors to digital assistants to sensors monitoring traffic on major highways, a plethora of IoT devices connected to networks are helping drive many benefits for users. While the benefits of IoT devices are undeniable, the internet of things is vulnerable to security threats. Here are some ways to secure your IoT devices. Software security has proven inadequate to thwart the known threats. A networked device lacking adequate hardware security can be easily hacked by an end-user. So, how can you overcome this security flaw and secure your IoT devices against end-users? By encrypting and protecting configuration bit streams. Moreover, equipping your devices with tamper protection, zeroization, and secure key storage can significantly reduce the chances of a successful attack. The hardware will identify unauthorized access and tampering, and zeroize when tampering is detected. Communication to and from the device needs to be secured using encrypted communication. One way to ensure this is avoiding the use of insecure encryption algorithm. Using weak encryption algorithms creates a false sense of security. We think that our encrypted data will never be decrypted and stay hidden as long as we want. However, that will only be true if you use solid encryption algorithms or follow secure encryption processes. Encryption can help prevent unauthorized access to data and devices. Part of a complete security management process, encryption uses standard cryptographic algorithms to secure data at rest and in transit between IoT edge devices and back-end systems. This helps maintain data integrity and prevent data sniffing by hackers. All communication with your IoT devices should be authenticated using strong passwords, authentication protocols or time-based authentication tokens. Antivirus software can provide a critical layer of protection against attacks. They limit communication to only known, trusted hosts, blocking hackers before they can launch an attack. A category of software, Middleware Hardware Physical Security provides a platform and applicationswhich are designed to integrate multiple unconnected security applications and devices and control them through one comprehensive user interface. By controlling access to hardware and software, physical security eliminates the possibility of anyone damaging or stealing devices or data. Moreover, it limits physical interaction with equipment and implements systems to ensure that equipment is safe from environmental threats and to promote physical security. With the exponential growth in internet usage, the internet of things (IoT) is expected to take the world by storm in the future. In fact, many consumers and companies are already migrating to IoT as they foresee the internet of things having a huge impact in the coming years. Here is everything you need to know about the evolution of the global IoT market, its growth and future. 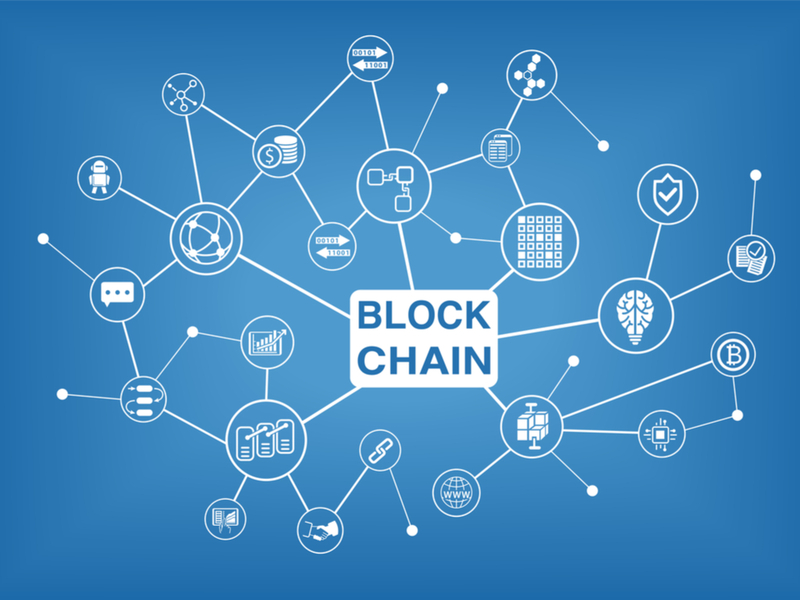 First coined by Kevin Ashton—a British entrepreneur in 1999, the term IoT refers to a network of Internet connected objects able to collect and exchange data. Considering that there will be fifty billion connected devices by 2020, IoT has come a long way since it was first coined. So, how did this massive explosion of internet-connected devices occur? There are many possible explanations but this explosion was largely due to the evolution of convergence of multiple technologies, ranging from wireless communication to the internet and from embedded systems to micro electromechanical systems (MEMS). From the traditional fields of embedded systems to wireless sensor networks to automation and more, a plethora of things helped enable and grow the internet of things. 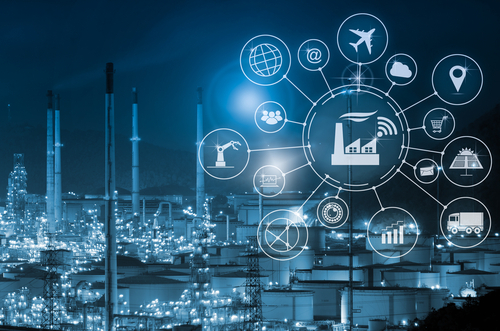 Over the past few years, IoT platforms have enabled rapid manufacturing of new products, dynamic response to product demands, and real-time optimization of manufacturing production and supply chain networks. They have achieved this by networking machinery, sensors and control systems together. 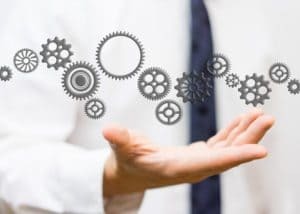 In addition to the above, IoT has helped automate process controls and service information systems. And, this ability of IoT is what gave birth to industrial internet of things (IIOT)—a form of IoT that is expected to contribute $14.2 trillion of global economy by 2030. So, what are the other predictions for global IoT in the future? Let’s find out. 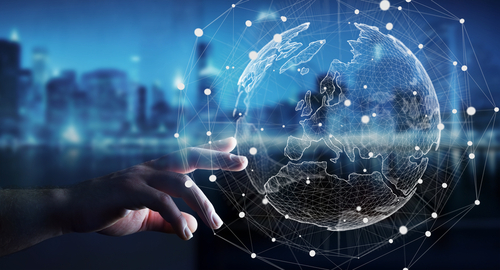 We already know that there will be an estimated fifty billion connected devices by 2020, but what are other predictions for future of the global IoT market? As the number of connected devices increase, the data collected by organizations will also increase. IoT platforms will employ sophisticated algorithms to analyze and deliver value from this data. Machine-to-machine (M2M) connections—a critical part of the IoT setup, is also expected to grow to eighteen billion by 2022. This will present businesses with a massive opportunity to improve and grow. IoT is also expected to enhance operational and customer insights in the future. According to Gartner—the American research and advisory firm, IoT will add value and economic benefit worth $1.9 trillion in 2020 alone. Moreover, McKinsey & Company—the American worldwide management company, has identified six ways in which IoT will enhance operational and customer insights. These include tracking behavior for real-time marketing, optimized resource consumption, process optimization, enhance situational awareness, instantaneous control and response in complex automated systems, and sensor-driven decision analytics. The number of IoT consumers are increasing by the day and there is always some company launching a new IoT enabled product. Based on predictions, this trend will only increase in the future. IoT is already allowing us to share and use valuable information in our daily life and some popular applications of IoT are farming, agriculture, greenhouse, industrial automation, smart buildings and supply chain management. The way farmers work is being revolutionized by remote farming operations and remote monitoring of livestock enabled by the internet of things (IoT). An application of IoT that should not be underestimated, smart farming is expected to play a crucial role in the economy of predominantly agricultural-product exporting countries going forward. An example of this IoT application is smart irrigation systems sensing the soil moisture and taking weather into account to ensure that they only water crops when needed, thus reducing the amount of water usage. This is an example of outdoor agriculture application of IoT. An example of IoT application in indoor agriculture would be IoT enabling monitoring and management of micro-climate conditions such as temperature, humidity and light to maximize production. A farming facility, connected greenhouse incorporates the internet of things microcontrollers, sensors and applications. The technology helps to automate and improve the management of greenhouse. Moreover, sensors can detect radiation, pathogens, and air quality to identify dangerous concentrations early and allow people to evacuate. Perhaps, the most talked about application of IoT today is industrial automation. Industrial automation is empowering industries with sensors, software and big data analytics to create efficient processes and products. Industrial automation is revolutionizing industries by increasing manufacturing efficiency. Sensors embedded in manufacturing equipment and placed throughout a factory can help identify bottlenecks in the manufacturing process. By addressing bottlenecks, manufacturing time and waste is reduced. 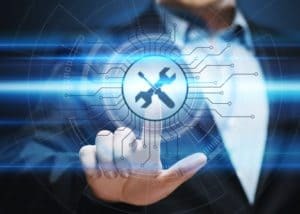 Industrial automation enables ‘predictive maintenance’, which is using advanced sensing and analytics to predict exactly when machines will need maintenance. This ensures that machines are serviced only when they need it, which cuts total costs and the time machines spend idle. 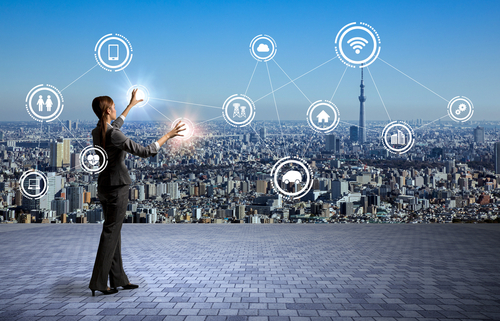 From enhancing security to reducing energy and maintenance costs, a range of IoT solutions are available to control and monitor connected buildings. IoT enables automated processes that allow you to control the operations of a building from a remote destination. With IoT, you can control a building’s heating, air conditioning, security, lighting, ventilation and other systems. With IoT, you can track goods and exchange information with suppliers in real time. Offering a range of solutions, IoT is helping optimize packaging, inventory management, quality control, logistics and overall management of the supply chain. For example, by placing RFID or NFC tags on individual products, the exact location of single items in a large warehouse can be shared, thus saving search time and lowering labor costs. Additionally, by allowing you to know exactly what’s in-stock and what isn’t, IoT ensures that you order new products only when needed. This reduces the cost of keeping extra inventory. Also, smart inventory management eliminates the need to manually check what’s on the shelves, reducing labor costs. Internet of Things or IoT as its popularly known is changing everything, including how businesses function. 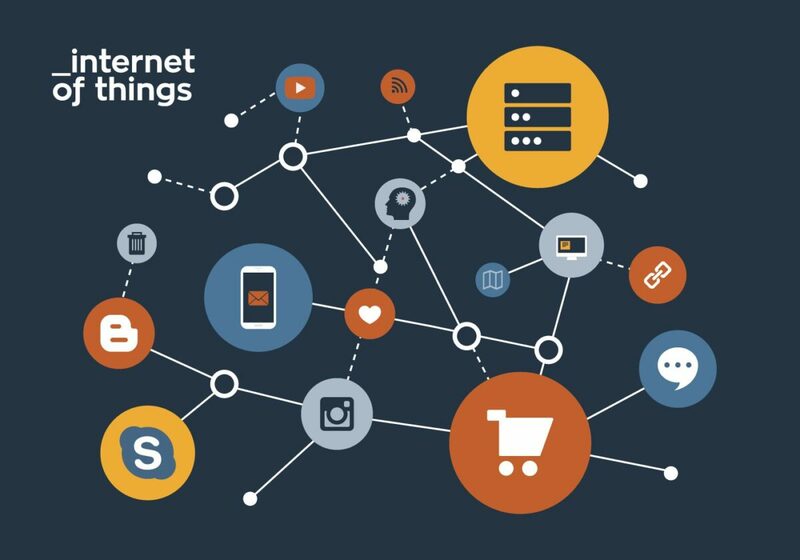 A system of devices connected to the web and each other, IoT includes a plethora of devices including smart phones, coffee makers, washing machines, headphones, light switches, tablets, wearable device, garage doors, fridges and more. IoT is applicable in the business world as well where it is used to improve business operations, make smarter decisions and design or manufacture smarter products. Some reports predict that there will be over twenty billion web connected devices by 2020. And, these are conservative numbers. Some estimates say the numbers could exceed a 100 billion. 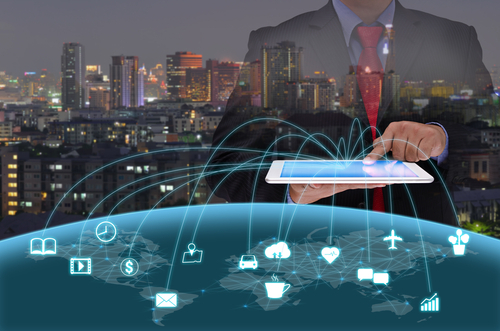 Regardless of which figure turns out to be true, the number of devices connected to the web by 2020 will be significant enough for us to consider how IoT will impact the world in the future. IoT is expected to add significant data to data streams. For this reason, it’s crucial for individuals and organizations to be in a position to manage the broad impact that IoT technology will have on technical areas, business strategy and risk management. With IoT, it is possible to get access to a considerable amount of useful information without having to ask for it. This includes the online habits of customers and how they connect to the web each day. Not only does IoT provide you with valuable customer data, it also increases your knowledge about machines. For example, if engines and vehicles are connected to the web, then they can inform you about problems and the software will provide you with diagnostic reports which you can use to fine-tune production. Over time, IoT will provide you with many useful bits of data. By putting together these pieces of data that you receive over time, you can get a clear understanding of your business operations, your customers and the audience you want to target in the future. Pre IoT, businesses had to manually perform inspections, report inefficiencies and then inform the supplier about any issues in quality or volume. Today, software connected to the web reports this data in real-time, allowing businesses to know exactly when they will run out of supplies. The design and management of a workplace has profound effect on the productivity, creativity and engagement of those working there. A poorly designed and/or poorly managed workplace can lead to an unproductive and unsatisfying work experience and if this happens too often, it can increase staff turnover and have a negative effect on the company’s bottom line. Enter ‘smart office’—the brave new world that promises to revolutionize the workplace but can it really improve things? A buzzword, smart office refers to an office space that utilizes smart or connected devices to improve efficiency and the office environment. The main objective of the ‘smart office’ is to create a congenial and well-managed work environment but it is also positioned to lower energy costs and increase workplace visibility to allow monitoring of unusual activities/ irregularities inside office spaces. Smart technology enables efficiency and productivity and this is no secret. By providing staff with the right tools and a connected environment, a smart office helps streamline processes to make them quicker and more practical, resulting in less time spent on repetitive tasks each day. By providing your staff the training to work in a connected or smart office, you can increase their productivity and allow them to operate as efficiently as possible. Connected offices can also help you to keep track of staff in the workplace. For instance, IoT solutions and connected devices can be used to detect whether employees have entered the office and what rooms are in use. This will allow you to monitor who is in the office and will help you reduce meeting rooms being unnecessarily booked out or large meeting rooms being used for only a couple of people. With connected offices, you get necessary insight into internal processes and procedures, which allows you to adapt whenever necessary. Connected offices feature IoT devices and sensors and this helps to reduce energy usage in the workplace. Using IoT devices and sensors throughout the facility, offices are identifying and enacting steps that not only lower energy usage, but also help reduce their carbon footprint. With these connected devices and sensors, management can control lighting, the environment and other-energy consuming systems. This helps to ensure that there is no energy usage in an unoccupied space in the office. A Connected office and IoT solutions makes it easier to manage office space, which in turn allows you to manage office space more efficiently. Some of the practices used in smart or connected offices to manage space includes hot desking and shared spaces. These practices enable more efficient use of the total square footage to ensure that less space is needed per person. The practices are enabled using IoT solutions such as space management software and sensors. Switch now to a connected office that uses IoT solutions to ensure smart savings and align your business perfectly with the modern global trends and get it ready to take on new challenges.